It cost the city almost $600,000 this winter to clear snow from about a dozen streets and salt them. The last batch of the winter snow plowing bills has come in. Through a Freedom of Information Act request, The Review received a copy of invoices submitted by Platinum Landscaping for snow plowing and street salting for the month of April. The cost for those services during that month was $115,737. The Review previously received invoices from Platinum for those services for November through March. The total cost during this period was over $483,000. Last winter was not only brutally cold, it dumped a record amount of snow, over 93 inches. Platinum, however, only plows and salts about a dozen streets. 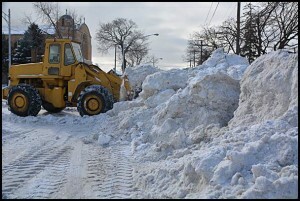 At one point the company cleared many other streets in the city in an attempt to make them more passable. 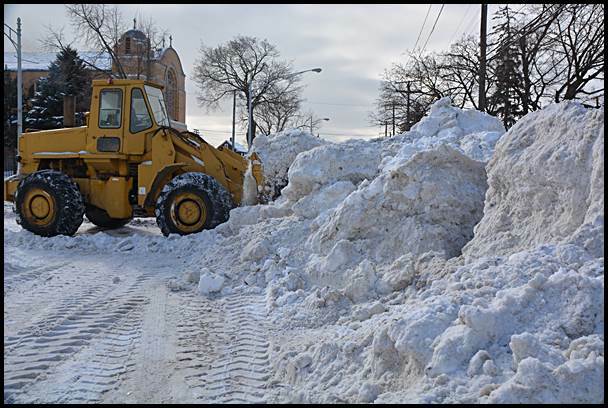 The city recently sought bids for snow plowing and salting services as well as lot maintenance – work that has been performed by Platinum for the past several years. No new contract has been awarded yet. The city really got a “snow job” for 6 hundred thou.